A must, this cocktail will take gourmands and gourmets for a stroll in the forest, making them discover undergrowth flavors. Boletus, girolles, mushrooms, black trumpets and chanterelles, a whole bunch of wild mushrooms are mixed in the same product, a delight for food lovers. – Dried Mushroom mixture : Andesol has carefully selected each ingredient of this cocktail to offer its clients an unprecedented product which will bring natural flavors to their recipes. 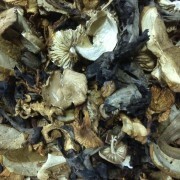 Andesol has also taken care to set up an artisan drying method to guarantee quality and a proper preservation of mushrooms. 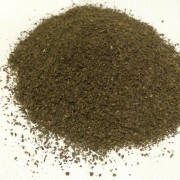 – Powdered or mealed mushroom mixture : practical, the crushed version doesn’t need any re-hydration before being used. It can directly be sprinkled on dishes or added at the end of cooking to bring a delicious natural aroma.